(1975) – graduate of the graphics faculty of the Academy of Fine Arts in Warsaw, son of a Czech woman and a Slovakian man, born in Prague. Author of over a thousand illustrations and covers for the most important periodicals in Poland. Officially – winner of the Chimera Award, privately – a lover of birds. 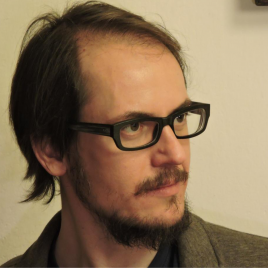 As the career of Marek Adamik – a sought-after graphic artist – was picking up more and more momentum, he learned about his incurable disease that made it impossible for him to practice his profession. 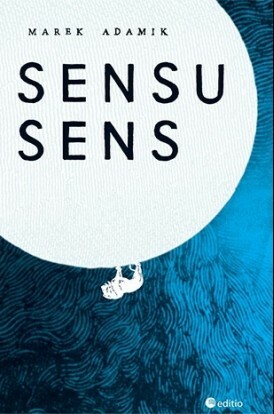 That was the birth of Sensu sens – a literary debut that is the record of his fight for his life, the disintegration of his personality and the destruction of his mind and body. It is a moving, incredibly intimate narrative that avoids tearful sentimentalism. As the author himself says, it is a largely a novel for all those who have any kind of diagnosis. Sensu sens, complemented by Adamik’s graphics, conquered the hearts of many, including Agnieszka Holland, who summed it up saying, „The whole book – with its graphic layout, with the illustrations – becomes a kind of work of art, an artefact”.